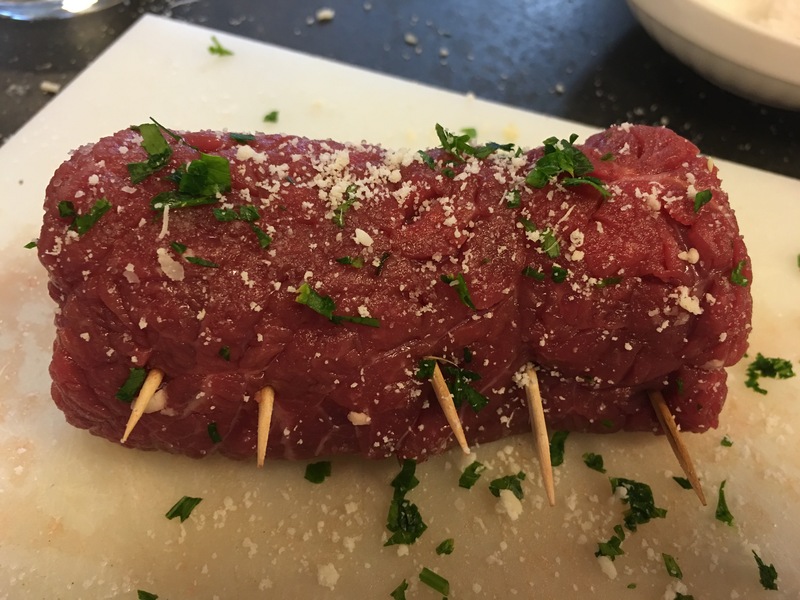 Braciole (rolled stuffed steak) from Italia – Hurried Home Chef! 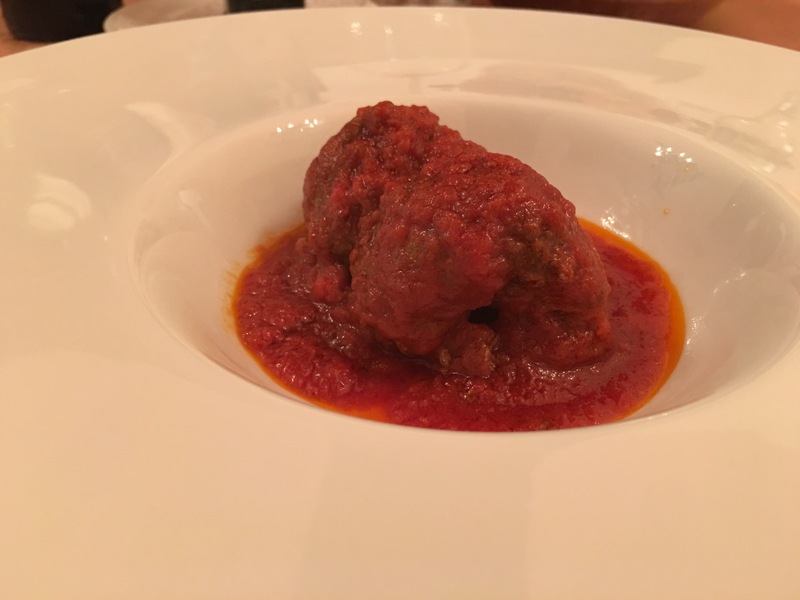 This was another cooking lesson from a chef on the Almafi Coast. 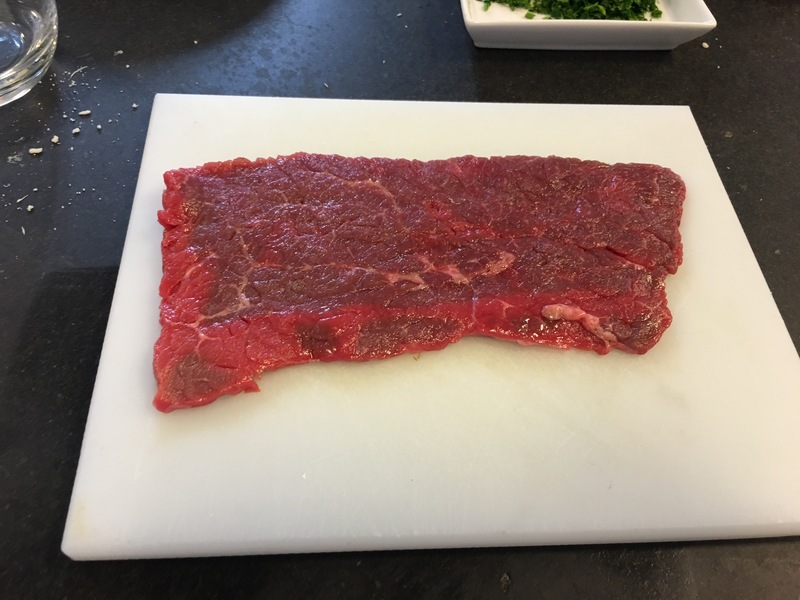 This was a thin slice of steak about 1/2 inch, it was quite tender. First we seasoned with salt and pepper. 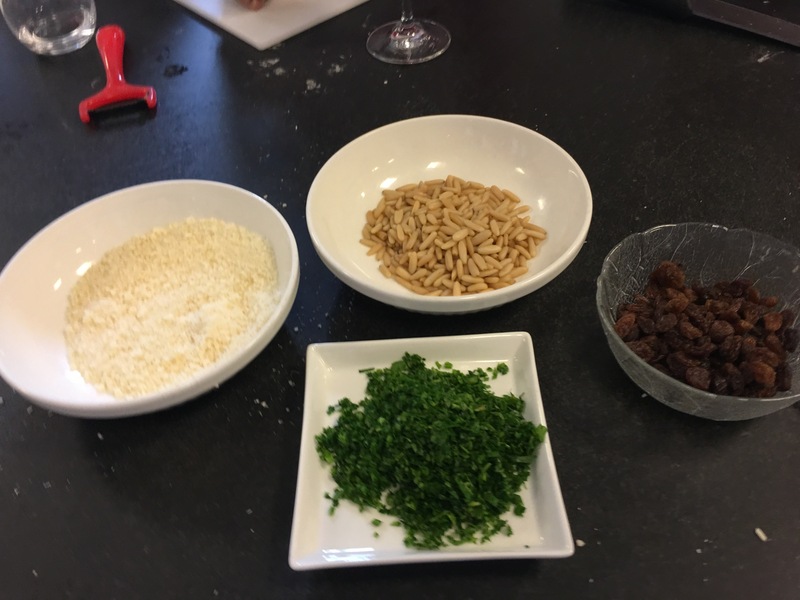 Then we added parsley, pine nuts, raisins, and parmigiana. Then roll tightly and secure with toothpicks, seam side down. 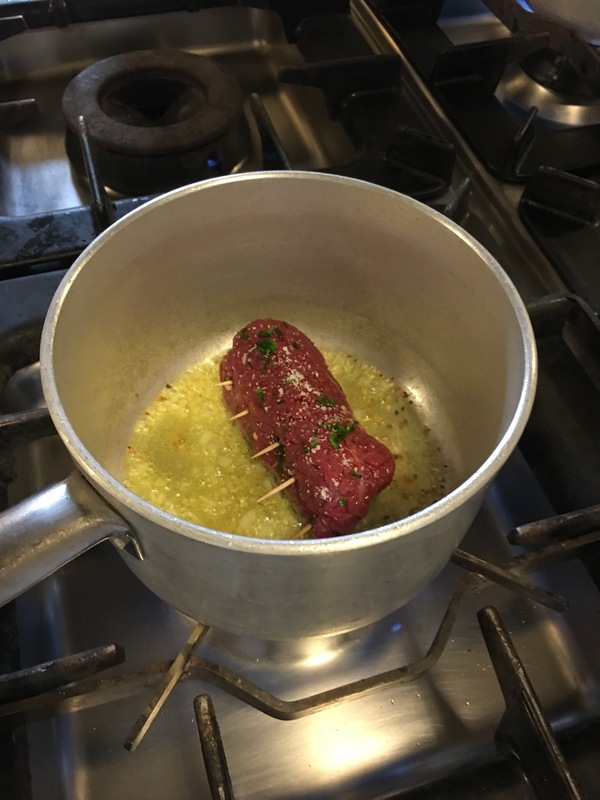 In a hot pan, sweat some diced onions in EVOO and add meat to brown. Add about 1/4 cup white wine per serving. Then add about 2 ladels of already prepared marinara sauce per serving. Simmer on low heat for 30-40 minutes. Carefully remove toothpicks and plate. 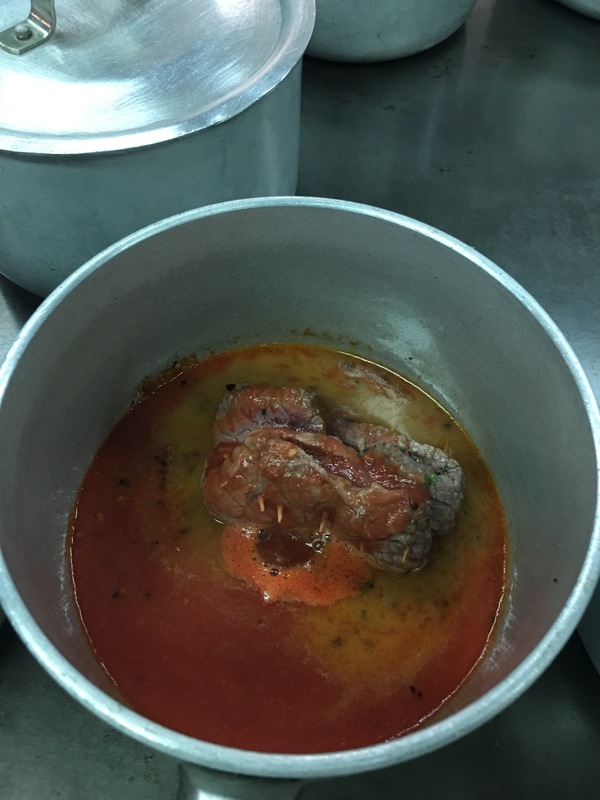 If sauce is too thin, remove meat and cook down sauce a bit then top. Fresh basil can be a garnish along with parmigiana. 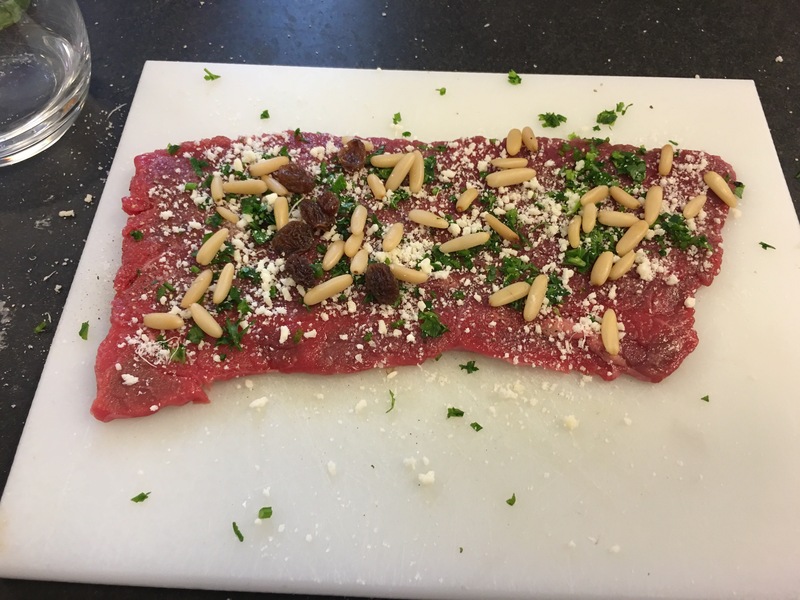 You can also add toasted pine nuts for a little frill.